I’ve been feeling blue lately and haven’t been up to my usual crafts n’ things. While I’m still waiting for the really nice weather to arrive I’ve been quite mopey. I needed to make something cheerful. I have been half way done a living room makeover for a couple of months now, slowly making my way through projects I’d like to finish…or start. One of those projects was a pendant lamp. I’ve been collecting DIY lamp ideas on Pinterest and holy cow I want to make them all. For the living room though I really believed I wanted something colorful and cheerful. 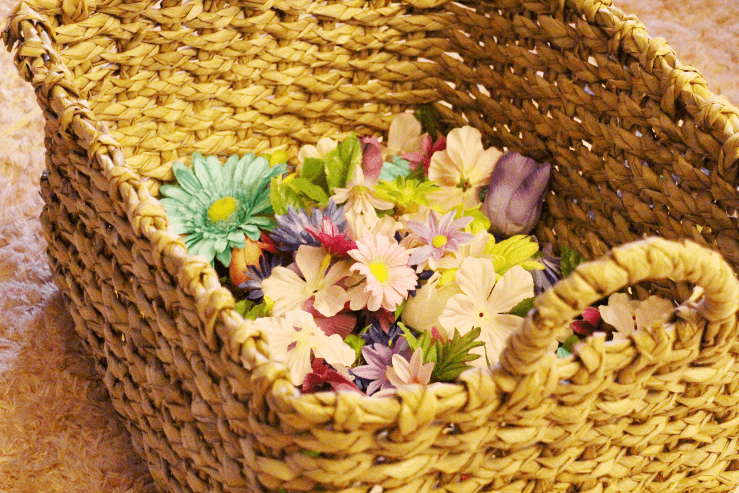 So…I started buying flowers and once I had a basket full I got out my glue gun and went to town. This is what was left when I was finished. 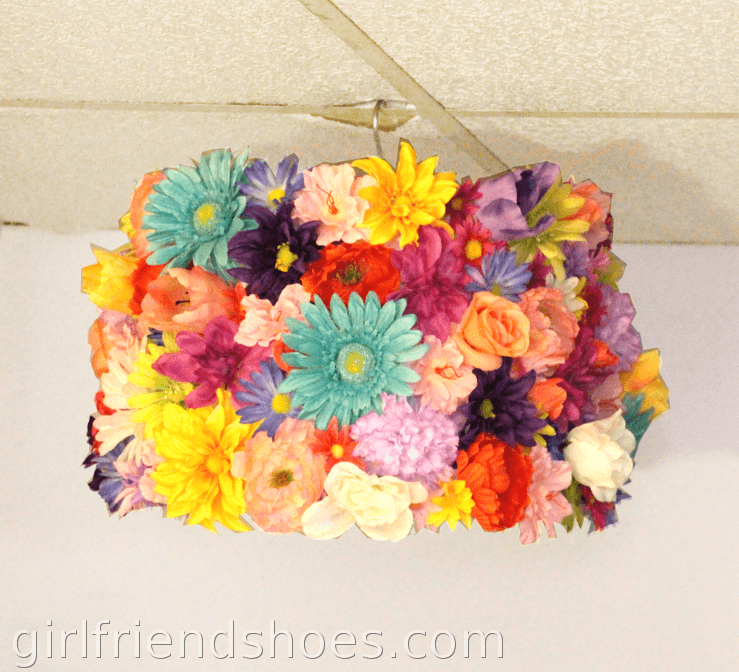 I bought a plain white lampshade from Walmart, when I bought it I hadn’t thought of which DIY lampshade idea I was going to use yet. Cheerful and colorful it is!! 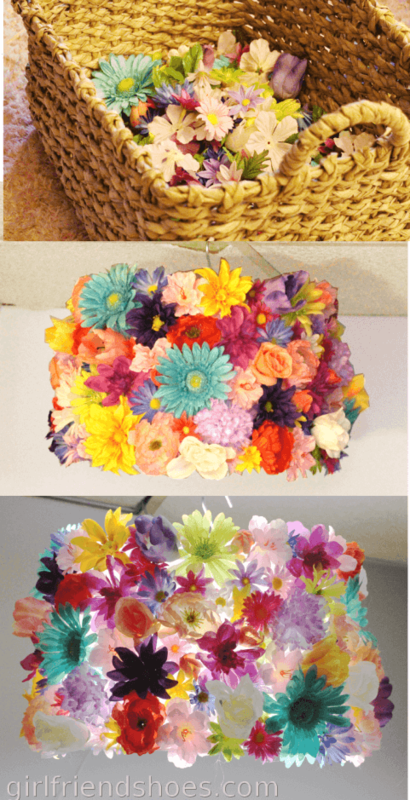 Diggin’ flower crafts, especially in time for summer. It’s beautiful when the light is on! I think this would be nice is one color as well, maybe even two. Also, as a accent table lamp or something. What do you think? 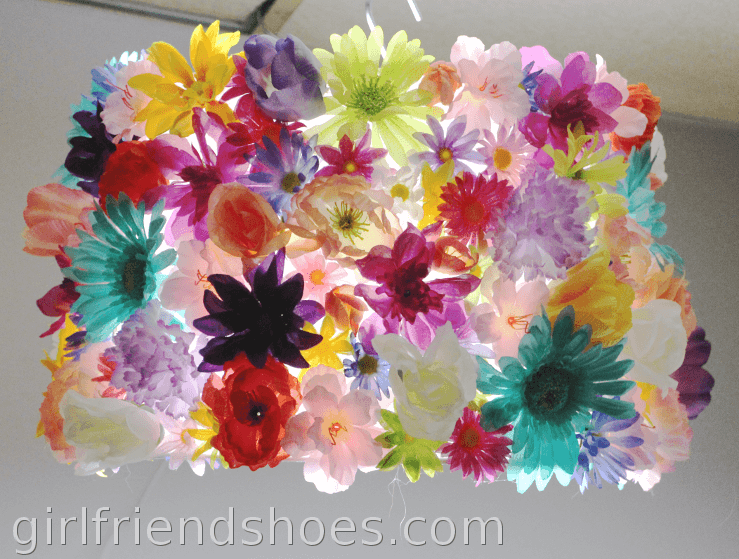 Super easy to do and it definitely adds color to the room.